Who is Looking for the Postman? 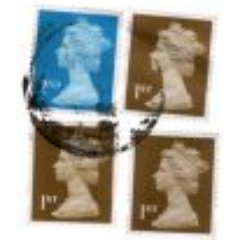 Who is the man that's looking for the postman? Looking for the Postman is the creation of me, Grant Robson, a blogging dad of four (Eve, Jenny, Jack and Rachel) and husband of one (Emma). Away from LftP, I am a music producer, amateur chef, wannabe photographer, comp-a-holic and champion beard-grower. I have a high score of 340 on Crossy Road. As a music producer, I was not a complete failure. I wrote music for New Line Cinema (Antonio Banderas’ Take the Lead) and Electronic Arts Superbike 2000, produced music for three series of MTV Mash and produced music for Activision’s DJ Hero. After remixing The Charlatans, Britney Spears, Christina Aguilera and Foals. I toured with the Charlatans as DJ support – a role I repeated for an Embrace tour. Under the name McSleazy, I had my own show on XFM, DJ’d across Europe and in the US and became resident DJ for T in the Park’s NME / Radio 1 stage for 13 years. McSleazy has now retired, but I still produce music and film scores under the name GrantJRobson. Looking for the Postman initially came about as a result of my addictive interest in online competitions. In entering competitions and keeping statistics on wins, I started making observations which I decided to share in a wordpress blog. Things escalated and people started to read this nonsense. In discovering that people didn’t completely hate my writing style, I started to write about other subjects related to family life. 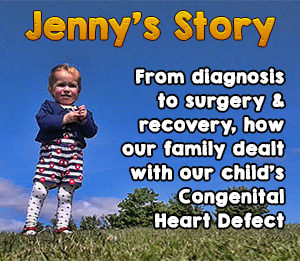 This began when my daughter, Jenny, was diagnosed with a congenital heart defect shortly before her second birthday. Blogging about the issue was therapeutic and the support received as a result of the posts was helpful. I still enter competitions and even sometimes wins things. Jenny is well too. Website looking great – good luck with the comps, they are so addictive though! I am writing to you regarding your inclusion in our Top 20 Daddy blogs.